"Does your chewing gum lose its flavor on the bedpost overnight?" questions a 1959 song by skiffle artist Lonnie Donegan. The answer? Well, yes and no. Chewing gum's flavor is dispersed by your saliva, so chewing gum on the bedpost becomes hard and dry, making it difficult to chew. Recent developments in chewing gum manufacturing have created a gum with longer-lasting flavor, whether or not you put it on the bedpost overnight. 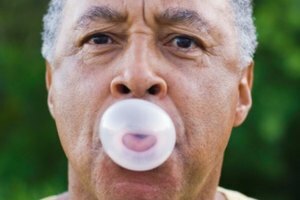 Chewing gum contains sugar or a sugar substitute and artificial or natural flavors. The amount of flavoring contained in a stick of chewing gum is actually quite small. When you put chewing gum in your mouth, saliva production increases, softening the gum and releasing the flavoring and sugar. The sugar serves to enhance not only the sweetness of the gum, but it also boosts the flavor. The longer you chew your gum, the more the sugar or the sugar substitute and flavoring dissolve. 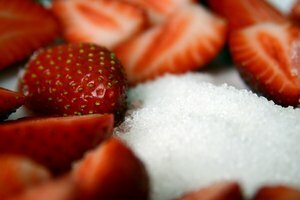 As the sugar dissolves, the boost it provides the flavor diminishes, causing the flavor of the gum to become more mild. 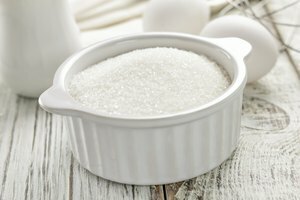 The sweetener dissolves much faster than the flavor crystals, but as the sugar dissolves you won't be able to taste the flavoring as well. Putting a sugar cube on your tongue can help boost the flavor of your gum once again. Many popular gum brands produce sugar-free chewing gum. These types of gum utilize a sugar substitute to stimulate flavor distribution while the gum is being chewed. The most common types of sugar substitute used in chewing gum are xylitol and sorbitol. There sugar substitutes reduce the caloric content of the gum while preventing cavities and other dental problems. In addition, they do not dissolve as fast in saliva, so they help boost and distribute the gum's flavor longer than sugar. Additionally, these sugar substitutes cause a cooling sensation in the mouth, which can enhance the flavor of gum. 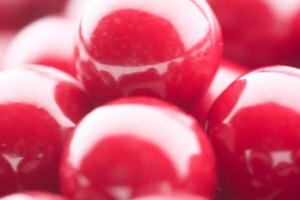 The recent introduction of flavor crystals to many popular brands of chewing gum creates a longer, more intense flavor sensation. 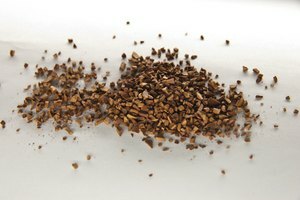 Flavor crystals are small pockets of concentrated flavor and sugar or sugar substitute, which when chewed, produce a burst of flavor in the mouth. Flavor crystals produce flavor the same way that chewing regular gum does -- the saliva and sugar stimulate the release of the gum's flavor. However, these flavor crystals dissolve at different rates, which prolongs the intensity of the chewing gum's flavor. 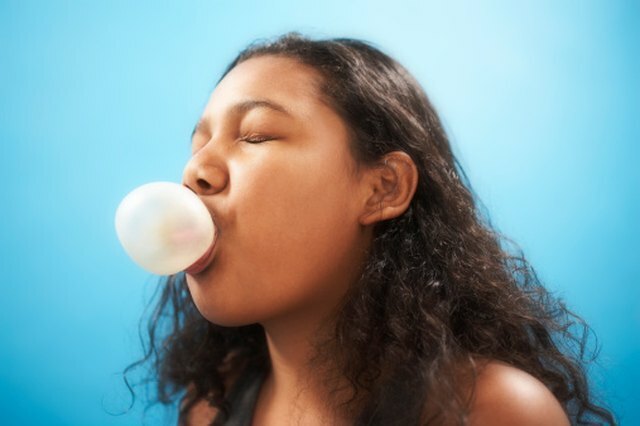 What Is the Difference Between Chewing Gum & Bubble Gum?